Used Left Handed Stag Arms Model 1L. Left handed AR uses a "mirrored" upper and bolt carrier for you "sinister" types. 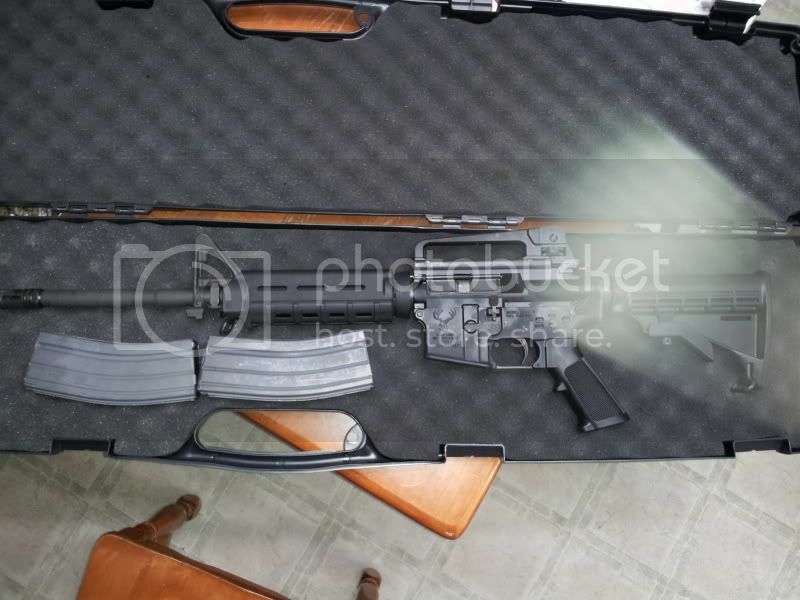 Comes with 2 30 round Bushmaster GI mags with magpul springs and followers, and a Magpul MOE Handguard. (Also have crappy original HG's) Removable carry handle rear sight. ~400 rounds down the pipe, basically new. SPF! Will update with either Sold or Back Up.